Owing to its mass appeal, revolutionary and violent nature, strong political impact, and multiple reverberations in contemporary politics, fascism was one of the most complex, and hotly debated movements of the twentieth century. Comparative Fascist Studies: New Perspectives brings together some of the leading experts in the field in order to provide an informative introduction to the most recent debates on fascist studies and the history of fascism across Europe. debates over ideal-type models of generic fascism used as instruments of comparison, and evaluation of historic case studies cross-national and trans-national comparisons of historical examples of fascism, measured against each other or against theoretical models of generic fascism debates over totalitarianism and political religions and their relevance for studying fascist movements and regimes. 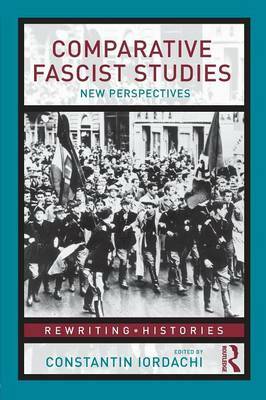 This Reader provides a sample of authoritative works that have revolutionized the field in the last two decades, supplemented by recent challenging reinterpretations of key aspects of fascism. Chapters include works by: Zeev Sternhell, George L Mosse, Stanley G. Payne, Roger Griffin, Roger Eatwell, Robert O. Paxton, Michael Mann, Aristotle A. Kallis, Ian Kershaw, Emilio Gentile, Richard Steigmann-Gall, and Constantin Iordachi. Each extract also has an introduction and annotations to guide the student through the complex arguments. This Reader is the perfect informative introduction into debates on comparative fascist studies.